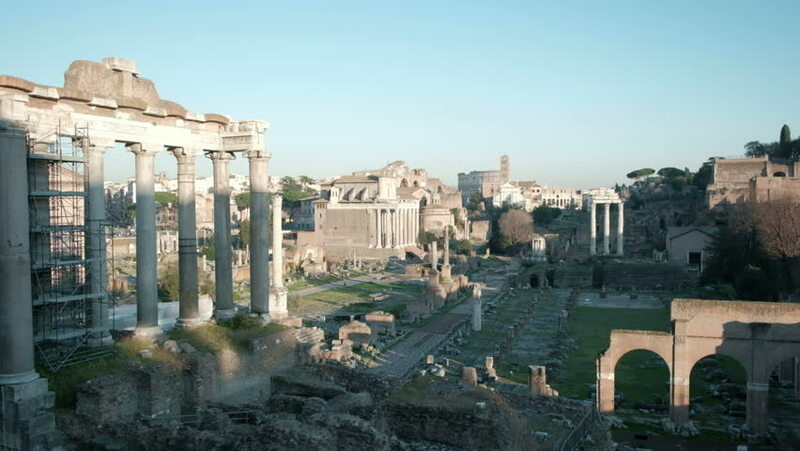 hd00:45Rome, Italy, Wide shot of the Roman Forum from Palatine Hill with the Temple of Saturn in the foreground. hd00:16Ruins of the Roman Forum. Italy. hd00:08Imperial Fora, Rome. Time lapse.